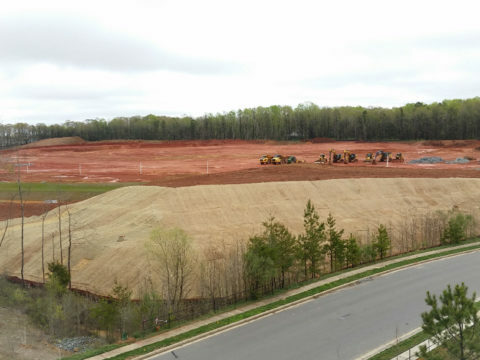 Edifice recently completed construction on LIFE Fellowship’s new campus in Cornelius, NC. The new 30,400-square foot facility features an auditorium with both fixed and removable seating to accommodate approximately 600 people, two lobby areas, a cafe, kitchen, hospitality room with a fireplace, administrative office space, three assembly rooms, weekday reception area, large stage and set area for worship with an AV room. There are also rooms to accommodate a child development center, middle school and high school classrooms. The design by LS3P Worship Studio and Equip Studio provides an efficient layout that is both practical and functional and will serve the church as their ministry continues to grow.